Michael Seibel is the general manager and co-founder of Socialcam a division of Autodesk Inc. Socialcam is a smartphone application that makes it easy to create and share videos with friends. Socialcam has been installed on more than 20 million iPhone and Android devices around the world and was acquired by Autodesk Inc. on August 1, 2012 for $60 million. Seibel is also a part-time partner at Y-Combinator, a startup accelerator that provides seed money, advice, investor introductions, and connections. Before Socialcam, Seibel was the co-founder and CEO of Justin.tv/Twitch.tv, the largest live video site on the Web with more than 30 million monthly unique visitors. Before getting into tech, Seibel served as the finance director for Kweisi Mfume’s U.S. Senate campaign in 2006. 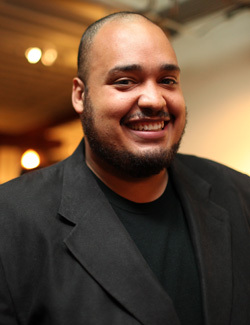 Seibel is a 2005 graduate of Yale University, with a B.A. in political science. His thesis explored a new method for predicting US presidential elections. Seibel will present on Friday, March 22 from 1:25 p.m. - 2:15 p.m. in room 113 IST Building.